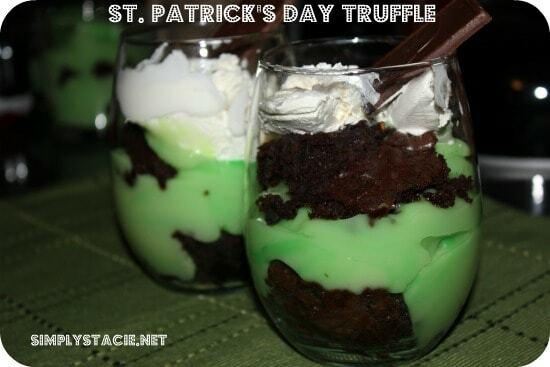 I have a tonne of St. Patrick’s Day desserts on my Pinterest board, but many look so elaborate that I don’t know if I could do them justice. I ended up selecting the St. Patrick’s Day Truffle Recipe from Mom Audience because it looked simple enough for me to make. And it was easy!! 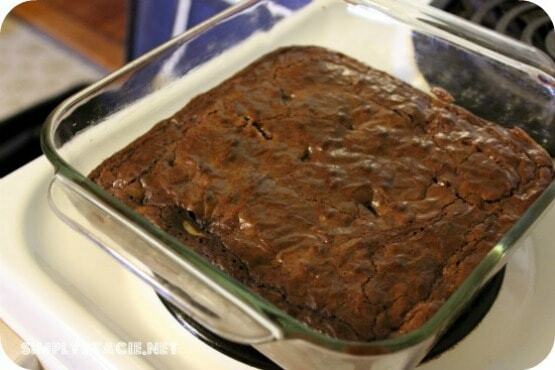 First you make the brownies according to the package directions. The next step is to make your vanilla pudding according to the package directions. 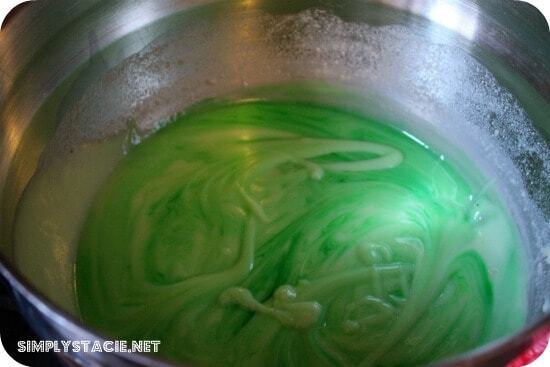 Add in your drops of green food colouring. I had a hard time getting my pudding to stay green. Not sure what I was doing wrong there! 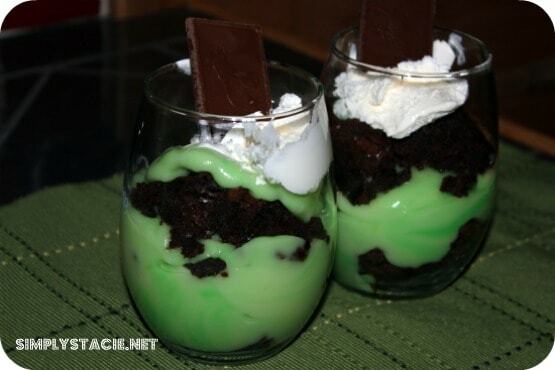 Then get some fancy cups or in my case just regular cups we had in the house and alternate the layers of brownies and pudding. I garnished with a dollop of Cool Whip and a chocolate. Looks great, Stacie! Yours actually looks like what it’s supposed to be. I had a food coloring issue with my shake too, mostly because I got cheap and substituted green icing! YUM!! visiting from Simply Pin-tastic! Pingback: Is every moment pin-worthy? | Let's Inspire Each Other To Thrive! Ok seriously, I want to jump through my computer screen – that looks SO yummy! You won’t have so much problem with the pudding staying green if you use paste food colouring, rather than the liquid stuff from the grocery store. 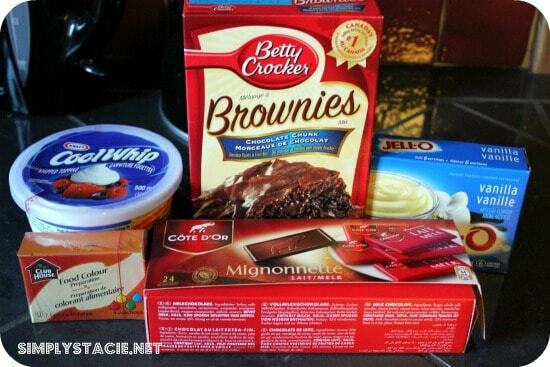 You can find paste food colours at most stores that carry Wilton’s products. could you use pistachio pudding instead? I believe a layered desert with cake and pudding/custard in clear glass is called a “trifle”. Truffle is also delicious but the wrong use here. St. Patrick’s day is not too far off. We will have to give this a try. Gf’s grandkids will really love it…cause its green!